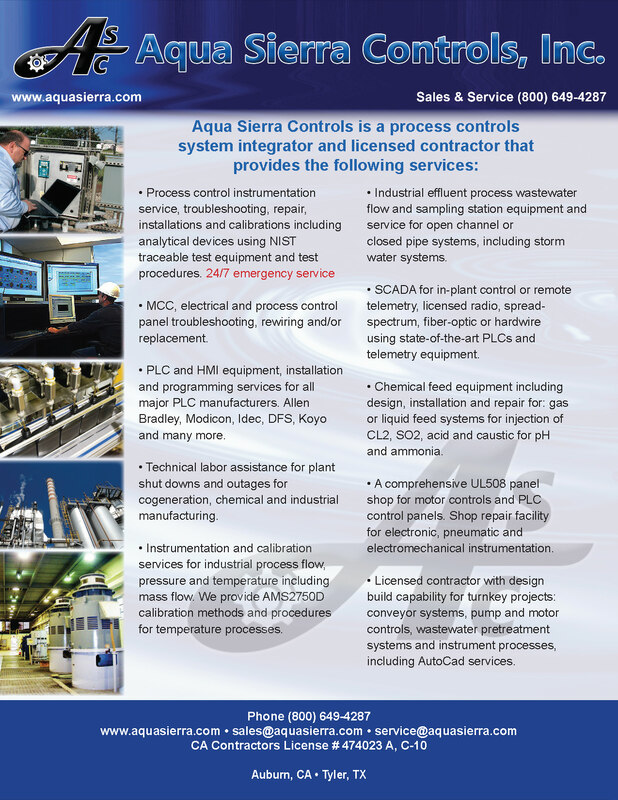 Aqua Sierra Controls, Inc. is a licensed contractor with design & build capability for turnkey projects such as; Conveyor Systems, Well Systems, Lift Stations, VFD Motor Controls, Wastewater Pretreatment Systems, Instrument Processes, and many more industrial design needs. Our Project Engineering work includes Electircal and Industrial designs. Capabilities Brochure. How to work with us: It is as simple as reaching out to our knowledgeble sales team that can help connect the dots with our design engineering team to solve your Electircal and Industrial challlenge. Listed below are some of the service areas we support. Look over our offerings and then reach out to our key sales staff: sales@aquasierra.com or 1-800-649-4287. Check out our Project Photos to see some examples of our amazing work! Process control instrumentation service, troubleshooting, repair, installations and calibrations including analytical devices using NIST traceable test equipment and test procedures. 24/7/360 emergency service. There are two forms of flow measurement for public works and Industrial manufacturing plant Effluent flow measurement Typically this is referred to as Open channel measurement or closed pipe flow measurement. 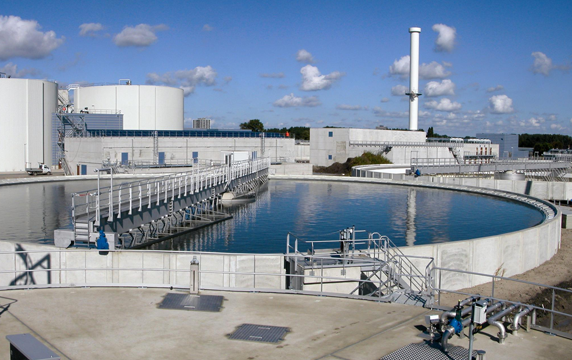 Most Industrial processing plants in California are required to self monitor their effluent wastewater discharge at the effluent discharge point from the plant, to the city or county. The plants facilities can be food processors, CO-Gen or chemical and manufacturing companies. The typical method for flow measurement is Open channel flow measurement, using a flume or weir as the primary measurement device in conjunction with one of the open channel secondary flow meters listed below. The open channel primary devices are typically installed in a manhole or vault, but in some cases they are elevated above grade. From time to time some companies prefer the closed pipe flow measurement method using one of the closed pipe meters listed below. The closed pipe flow meters must be installed in a pipe that is pressurized or in a full pipe condition. Gravity flow pipes are not considered for closed pipe flow measurement. 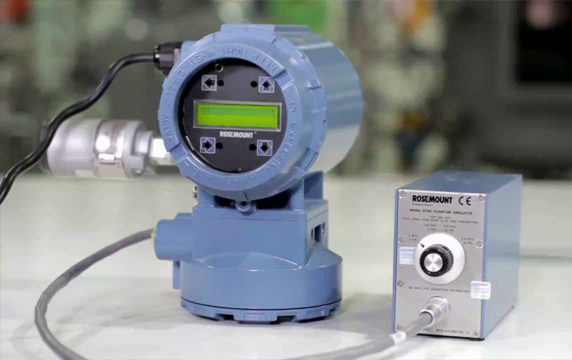 The industrial self monitoring system adapted by most cities and counties also require that each discharge point from the facility be equipped with an automatic composite refrigerated sampler, A PH analyzer and sensor, indicating chart recorders and in some cases conductivity analyzers. The discharge requirements also include having a third party company to inspect your installation and calibrate and certify the accuracy of the flow system and associated instrumentation. Each city has a specific number of calibrations required per year an some companies request more frequency. 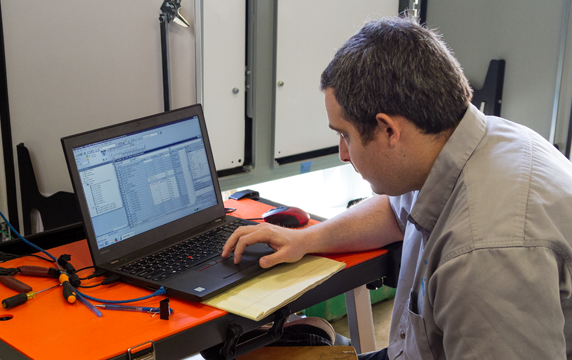 We at Aqua Sierra Controls, Inc. provide the periodic calibrations and certifications generated by our Prosoft Calibration software. We offer our companies written maintenance and calibration programs at a much reduced labor rate than our standard demand or emergency service. Our computer system notifies us when your service is due and our service department contacts you to schedule. Additionally we offer. 24-hours: 7 days per week emergency service. We provide certified and licensed confined space entry personnel and safety equipment. Secondary instruments and equipment, that would be used in conjunction with the flow systems mentioned above would include the three basic instruments. Additional instruments such as conductivity measurement may also be required. Portable or refrigerated composite automatic sampler with a composite 4 or 5 gallon sample container. These samplers would be connected by cable to the flow meter chosen and programmed to take a proportional to flow sample based on the program in the sampler controller. PH analyzer with either a submersion PH sensor for open channel or an insertion style sensor for closed pipe application. Chart recorders are almost always required, requiring chart speeds from 7-day to Dailey. Acceptable recorders are the circular thermal type with programmable self generating charts or those that use ink pens with pre-made charts. 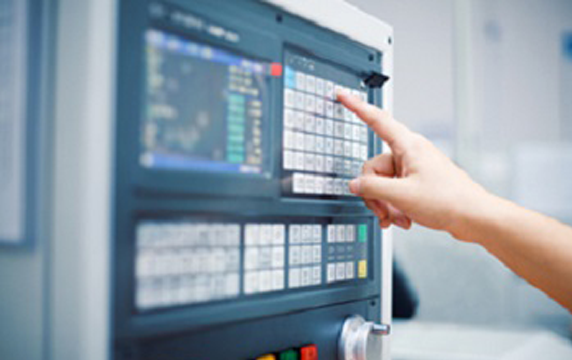 PLC & HMI equipment, installation and programming services for all major PLC MFG. 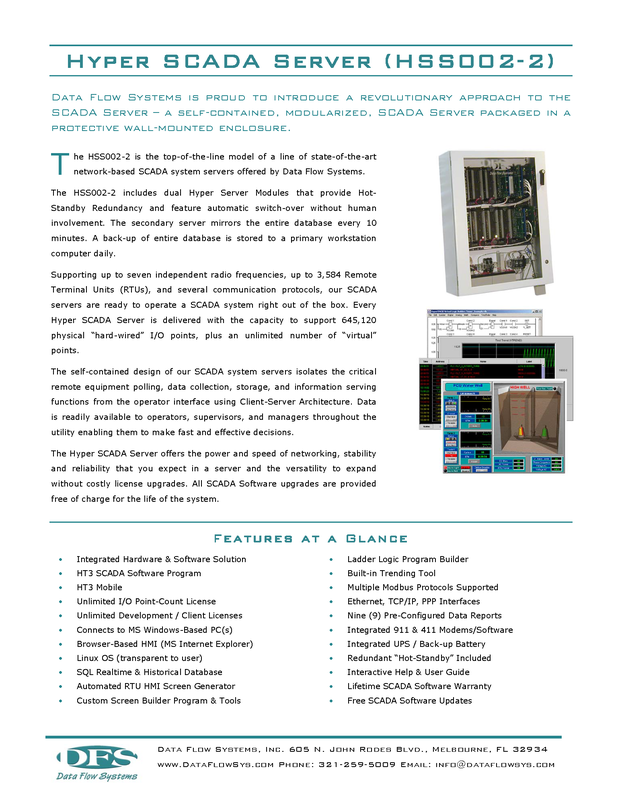 A-B, Modicon, Idec, DFS, Koyo, Wonderware, Modbus, BacNet, RS View & Siemens. 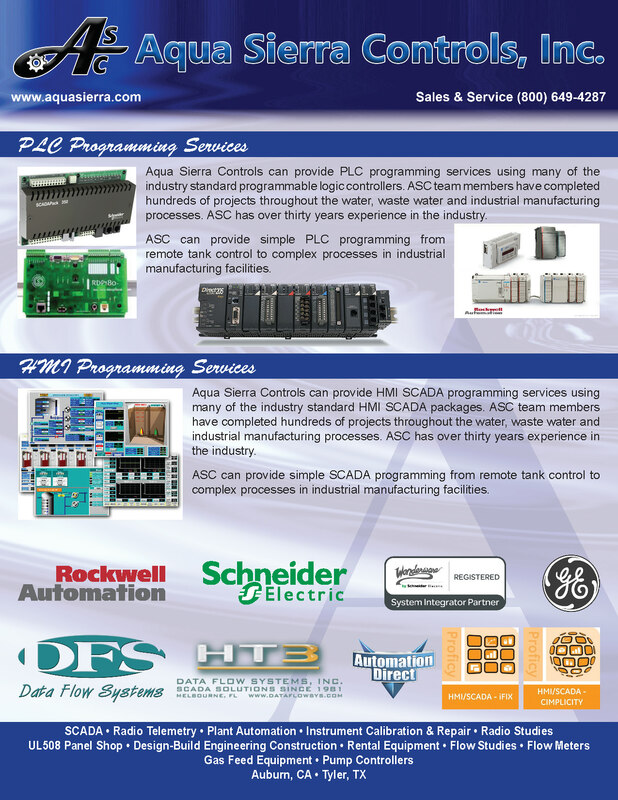 Aqua Sierra Controls, Inc. can provide PLC programming services using many of the industry standard programmable logic controllers. Our ASC team members have completed hundreds of automation projects throughout the public works and private industry Our service include the very basic logic controls to the very high end automation projects, such as PH neutralization, SCADA and industrial pre-treatment controls. ASC was established in 1979 to provide instrumentation service and automation for the public works and private industry. Our programmer team can take a customer’s idea for an automatic system the customer wishes to implement and develop the PLC logic required to make any system control in automatic. 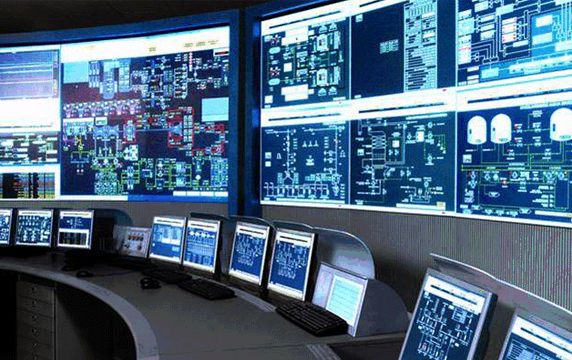 We will develop and configure the logic for any number of system controls such for Motor Control Panels, VFD control, PH Neutralization, Pre-Treatment Controls, SCADA communication and industrial manufacturing plant controls. 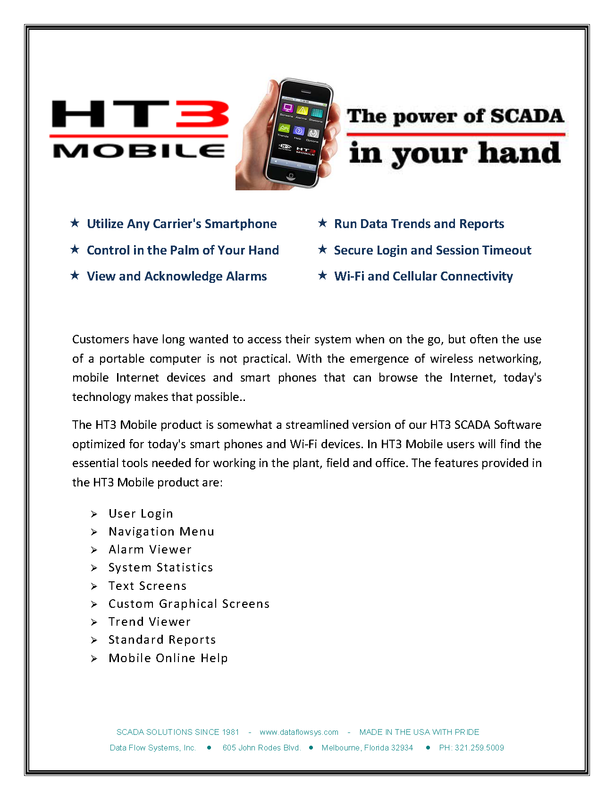 SCADA for in-plant control or remote telemetry, licensed radio, spread spectrum, fiber optic, or hardwire using state of the art PLC's and telemetry equipment. 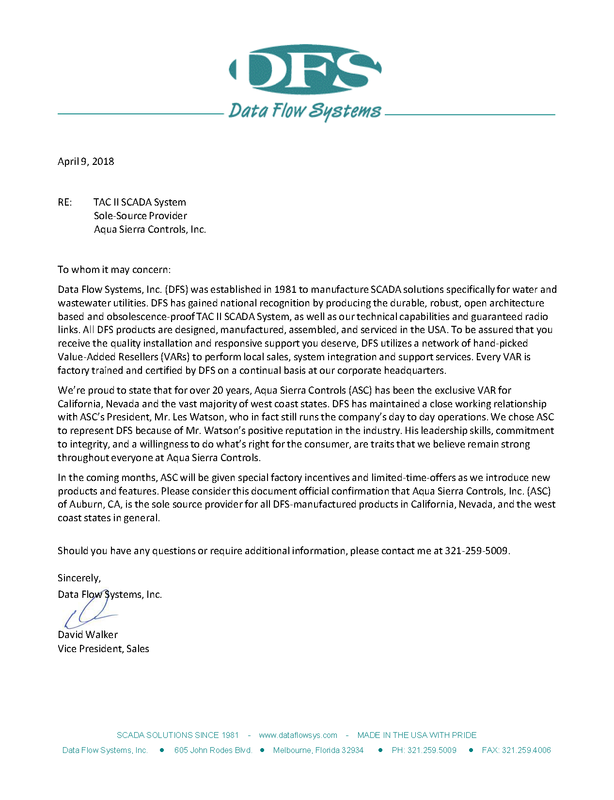 Representative for Data Flow System and AGM Electronics. 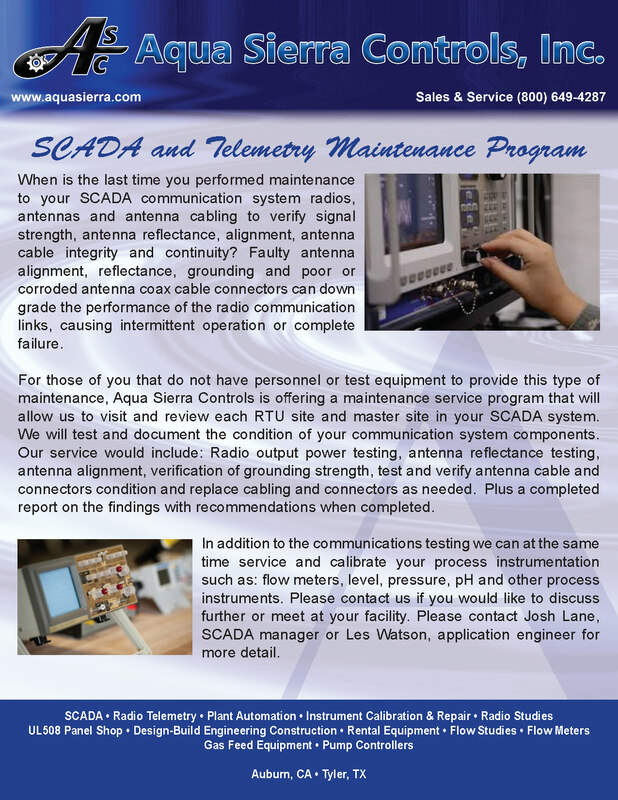 Aqua Sierra has been providing and servicing a variety of hard-wire, telephone line, and wireless telemetry systems since our inception in 1979. We have provided and installed some of the very old frequency shift key systems, 2-wire tone telemetry, pulse duration systems, and just old voltage controls. Because of changes in technology and the industry, we have since changed to the state of the art SCADA Equipment, such as licensed radio, Un-licensed radio (Spread Spectrum), Cellular systems and Fiber Optic. The master stations instead of being analog and relay logic and now controlled digitally with high speed servers and programmable logic controllers. With the high speed master stations we can now get graphical HMI displays, historical data retrieval, and data logging to allow report generation. We have taken on the Data Flow system telemetry equipment line and are now the California and Nevada representatives for their products. 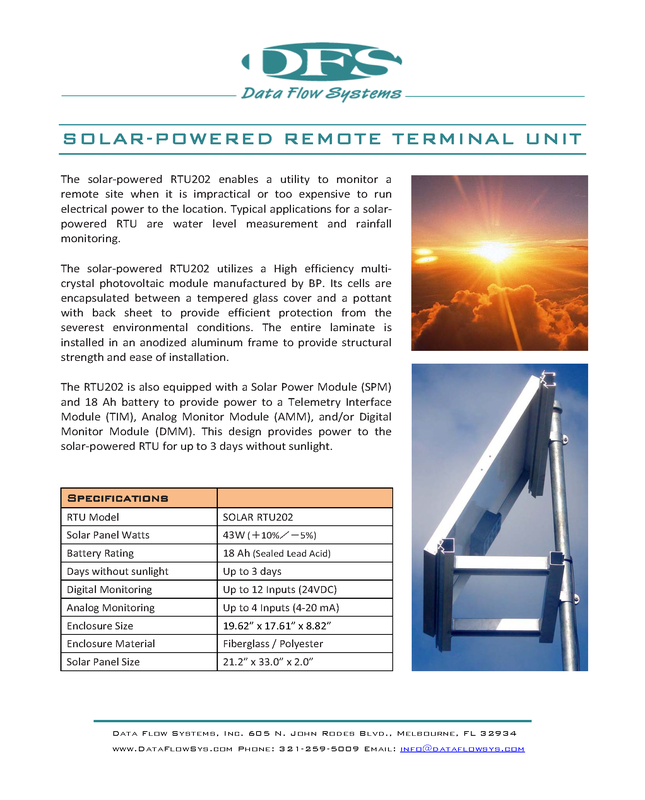 The Data Flow equipment line includes licensed 200 MHZ and 450 MHz frequency radios, cellular communication RTU's, radio telemetry using Ethernet radios, and Fiber Optic communication. 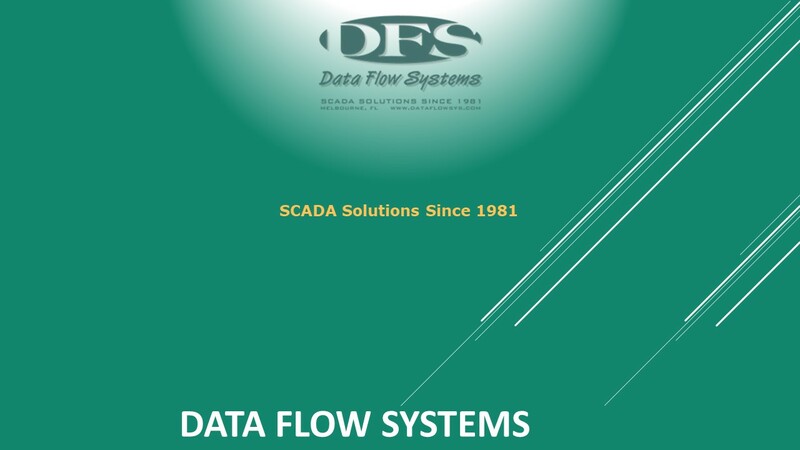 Data Flow Systems (DFS) is our primary manufacture and supplier for SCADA telemetry equipment. We provide the radio survey required to establish a licensed radio system. We provide the site walk thru to obtain the license coordinates for each of the proposed telemetry sites including the master station. These coordinates are submitted to DFS to establish the factory radio survey. The survey will be used as part of the license requirement. The license application will be filled out by Data Flow and submitted to us for transfer to the customer for completion and signature. Some key documents from our DFS Line, including our Sole Source for California Status! We also have extensive experience with the AGM Electronics line of products. Their focus is on converters, interfaces, smart transmitters, spread spectrum telemetry and pump controls. We have been working with AGM for over 30 years using their signal interfaces in our telemetry design. Instrumentation and calibration services for industrial process flow, pressure and temperature including mass flow. 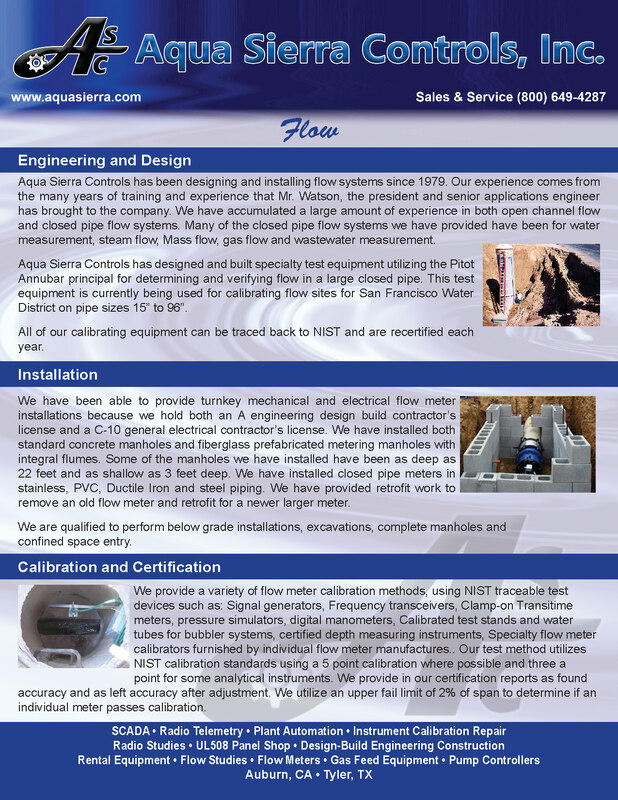 We provide field testing for large fresh water pipe flow systems using Diff Pitot certified test equipment. 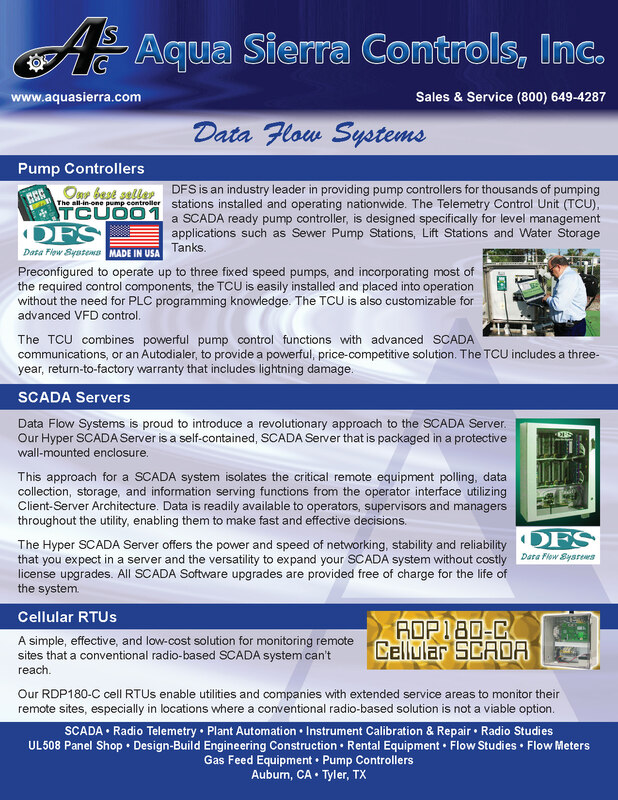 Aqua Sierra Controls, Inc. was established in 1979, primarily to furnish Instrumentation installation and calibration. Over the years the business has expanded into providing a more in depth calibration process for all types of industrial and public works instruments. All calibrations performed on any industrial or public works instrumentation will be per NIST traceable standards. Test equipment utilized will be NIST traceable and include a certificate of accuracy for each test instrument. Test instruments are re-certified yearly. As part of our service we have established a computerized software program furnished by Pro-Cal 2000. The field calibration data sheets furnished by our technicians are entered into the Pro-Cal System. 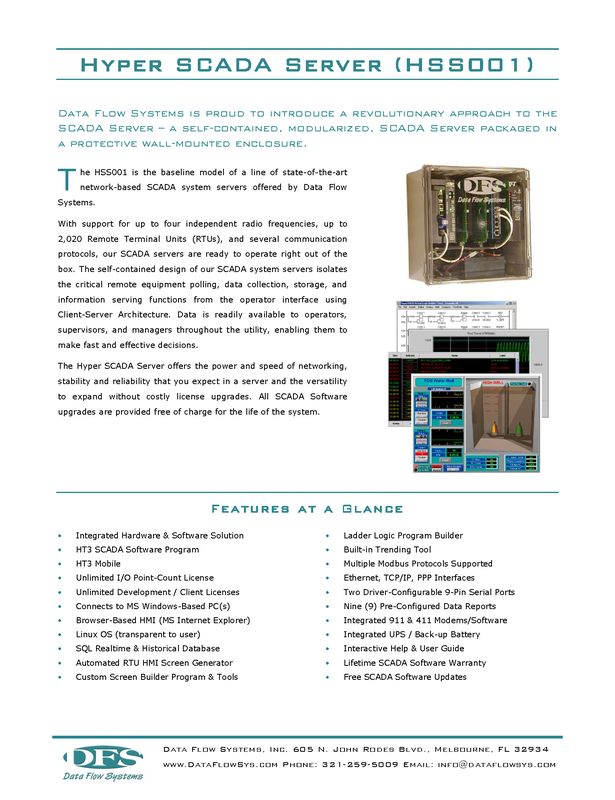 This program provides historical data retrieval and storage for calibration data on every instrument that we service. The instruments are stored and filed in the program by instrument I.D., serial No., model number, manufacture and customer site location. Industrial Effluent process wastewater flow and sampling station equipment and service for open channel or closed pipe systems, including storm water systems. 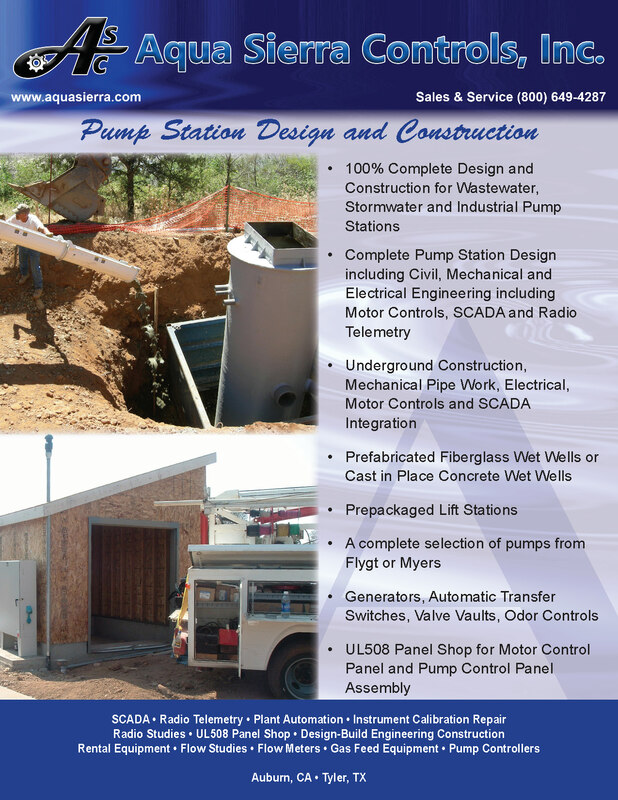 Aqua Sierra is a California based class "A" engineering, design/build contractor and a "C-10" Electrical contractor. We have specialized in the design and build for PH neutralizing systems, Industrial wastewater pretreatment systems, solids removal, well pump control, wastewater sewage lift stations, storm water pump stations, Steam pipe temperature controls, large liquid chlorine feed systems backup generator systems with auto switchover, conveyor systems, and solids removal systems. 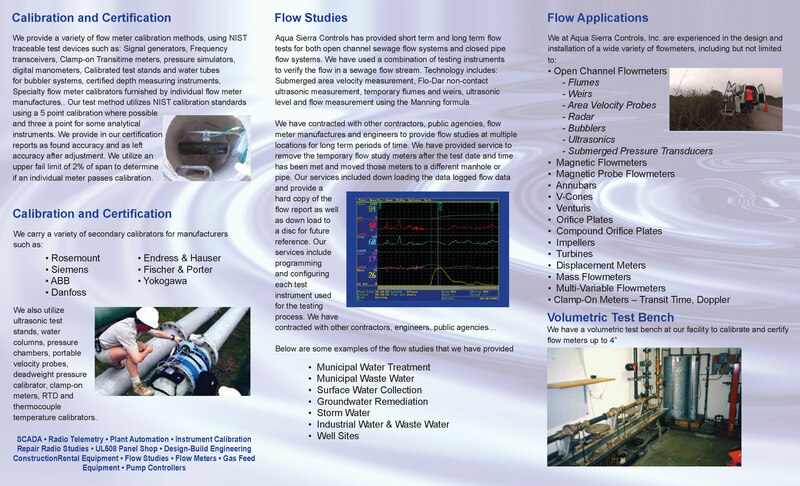 We have also provide wastewater pond aeration systems, BOD and TSS controls as well as VFD driven aerators and blowers. Food processing plant effluent discharge pre-treatment system, pre-packaged or built in place. Our industrial capability also includes a complete UL508 panel fabrication shop. We can provide complete control panel builds for PLC controls, Motor controls, VFD controls, duplex pump panels and well control panels. Chemical feed equipment including design, installation and repair for: Gas or liquid Feed systems for injection of CL2, SO2, Acid and Caustic for PH and Ammonia. 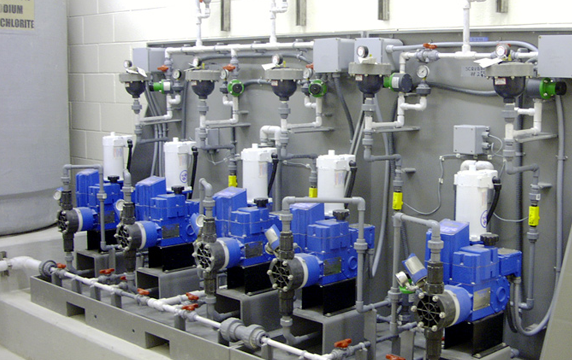 Aqua Sierra Controls, Inc. can provide complete, design, build chemical feed controls for disinfection control, chlorine neutralization using SO2, ammonia feed systems, PH neutralization controls, BOD, and TSS controls. We can provide pre-packaged vacuum operated gas chlorination equipment including 150 LB or 1-ton bottle vacuum regulators. We can provide single bottle feed or a system with auto switch over capability. Gas chlorination with flow rates as high as 2000 PPD. We can provide the same equipment for SO2 feed or ammonia feed. Typical gas equipment includes: Vacuum regulator, gas ejector, auto valve, remote meter panel, auto-switch over unit, tank scales and gas leak detectors, and CL2 or SO2 analyzers or both. We can convert any gas system to a liquid system for chlorine using 12.5% Hypochlorite and for SO2 liquid Sodium Bisulfite. The liquid system would incorporate diaphragm type or peristaltic chemical feed pumps to feed the liquid generally controlled in automatic, from a controller, PLC, flow meter, analyzer or a combination of any. 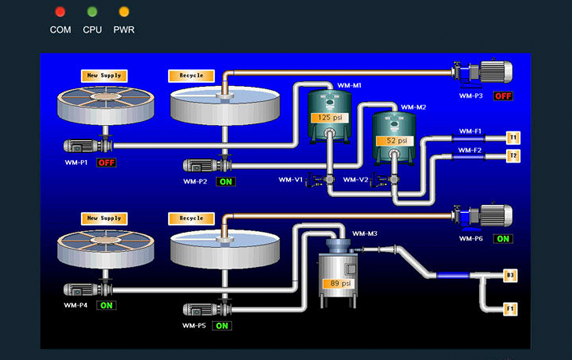 We can design and build complete PH control systems, either flow thru or batch. Design chemicals would be caustic or acid fed by the pumps described above. The large PH neutralization systems generally incorporate up to 3 PH sensors and analyzers, some times 4. The controls are generally provided by PLC logic controllers. We specialize in supplying and servicing many different name brands of chemical feed and analytical equipment such as: Wallace & Tiernan, Siemens, Capitol Controls, Eco Metrics, Hydro, ENCHLOR, Prominent, LMI, and Regal. Our ASC shop is equipped with a complete gas chemical feed repair facility. We service and repair the above named gas feed equipment. We test the repaired feed equipment using actual vacuum at 15" H2O under 125 PSI pressure. All equipment repaired and tested at our facility id guaranteed for 90 days providing the seals are nor broken upon return to our plant. Technical labor assistance for plant shut downs and outages for co-generation, chemical and industrial manufacturing. ASC technical labor in addition to our calibrating services and other services described, we also provide in a much more composite description. Process control instrumentation service, troubleshooting, repair, installations and calibrations including analytical devices using NIST traceable test equipment and test procedures. MCC, electrical and process control panel troubleshooting, rewiring and or replacement. 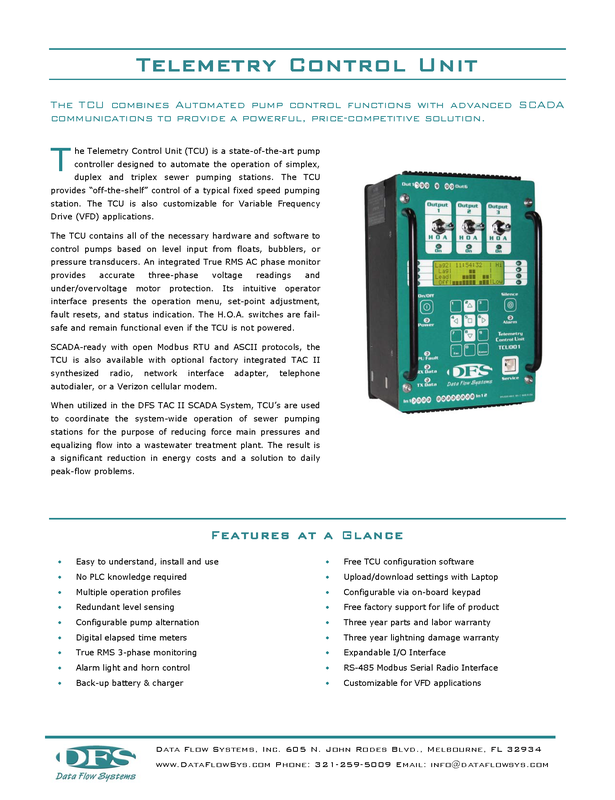 SCADA for in-plant control or remote telemetry, licensed radio, spread spectrum, fiber optic, or hardwire using state of the art PLC's and telemetry equipment. Representative for Data Flow System and AGM Electronics. We also provide communication radio path studies for licensed frequencies and non licensed radio (Spread Spectrum). 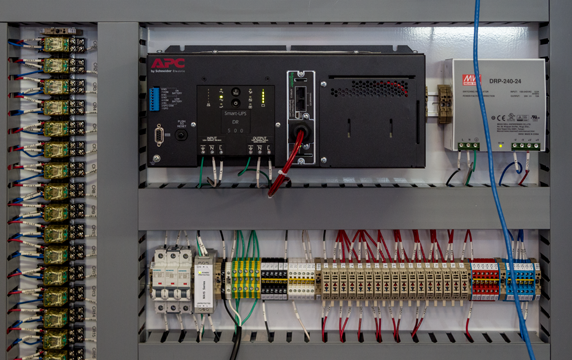 A comprehensive UL508 panel shop for motor controls and PLC control panels. Shop repair facility for electronic, pneumatic, and electromechanical instrumentation. Licensed contractor: with design build capability for turnkey projects: Conveyor systems, Well systems, Lift Stations, VFD motor controls, wastewater pretreatment systems and instrument processes, including AutoCad services. AutoCad and PDF design drawings for mechanical, electrical and instrumentation loop controls. 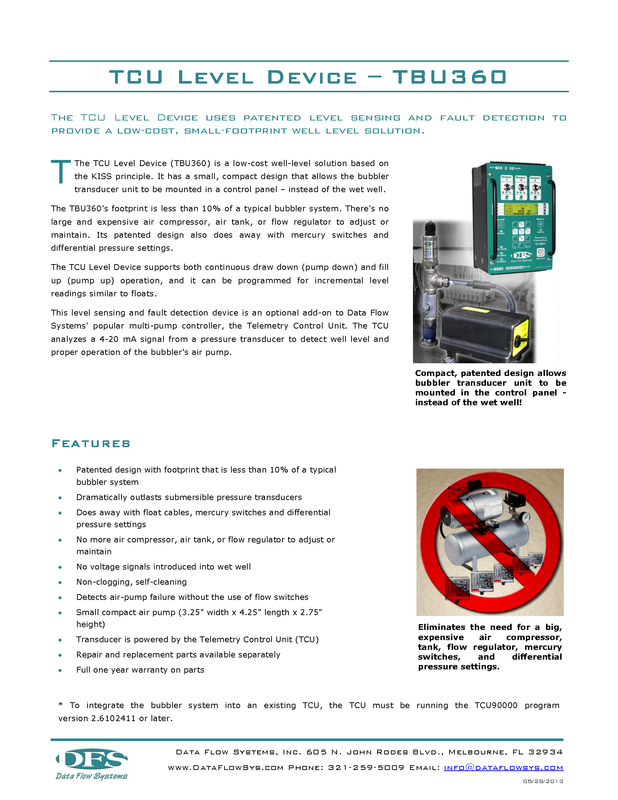 A comprehensive UL508/698 panel shop for motor controls and PLC control panels. Shop repair facility for electronic, pneumatic, and electromechanical instrumentation. Aqua Sierra Controls Inc. is proud to be a UL 508A/698A certified panel shop with electrical design and engineering services, experienced in design drawings, fabricating and programming needs for control panels for use in a variety of industrial applications and working environments. Designing control panels for industrial applications is a process that requires attention to detail. Our engineering services group creates detailed control panel design drawings, bill of materials, and electrical schematics. Our workmanship and attention to detail ensure that all projects are of the highest quality and built exactly to the customers specifications. Upon design approval by the customer the panel is custom fabricated, testing is implemented using the ASC Factory Acceptance Test procedure, control and input check points are tested, analog inputs and analog outputs are calibrated for proper operation. 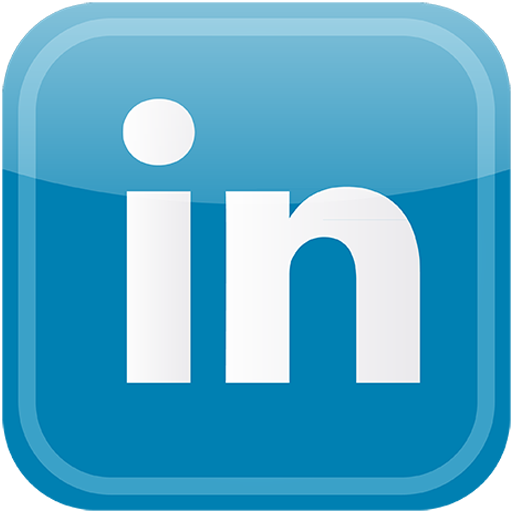 Experienced in field services support, startup, commissioning and training. All wires and components are properly labeled to provide easy tracing and troubleshooting. We print our own wire labels and UL markings making every project custom per the customer. 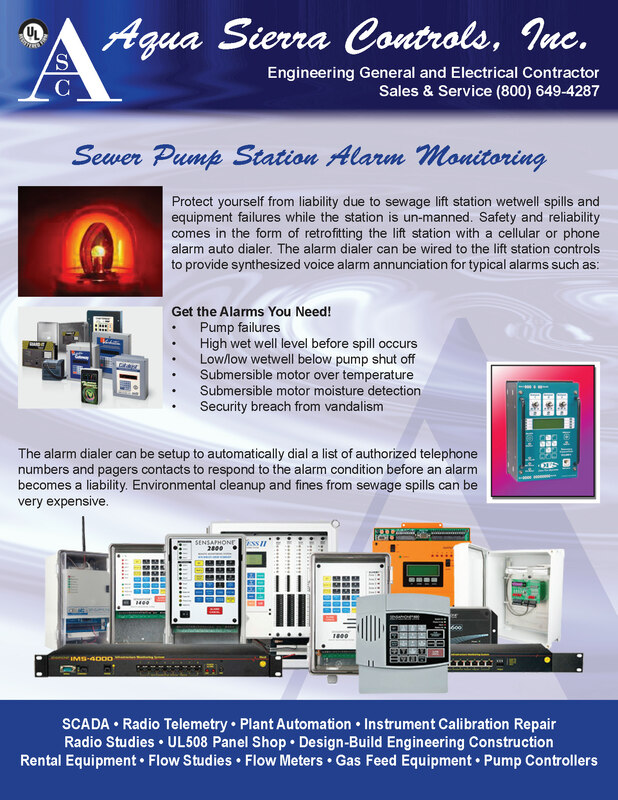 Built to customer specifications, or Aqua Sierra Controls, Inc. designed and engineered, we have a solution for you. 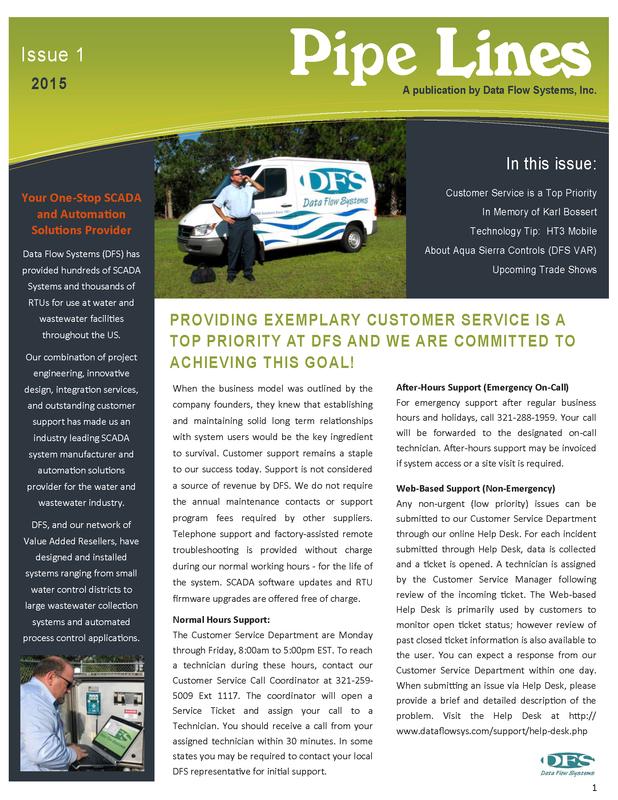 Click on the Thumbnails to Download our various services brochures.